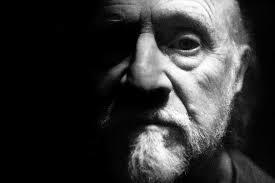 Long before films like Chucky, Demonic Toys and half of Full Moon Entertainment's catalog of films, there was a little short story gem written by Richard Matheson called, Prey. You've probably seen Trilogy of Terror, an anthology film based on three of Matheson's works. The final episode, the one where Karen Black is terrorized by the Zuni fetish doll is based on this very short. The story starts with our girl, Amelia, coming home after purchasing a Zuni fetish doll as a present for her boyfriend. She opens the case and examines the doll. Matheson describes it having a skeletal body with an over-sized head. The mouth is home to razor-sharp teeth, and he's grasping a long spear in his hand. A gold chain is with the doll, and a scroll that reads, "This is he who kills. He is a deadly hunter." Weird gift. Anything to impress the BF. She talks to her mother, who is overly possessive, a bit jealous, needy and annoying. Amelia is a 33 year old treated like a teenager. Apparently she lives on her own but keeps a room at her mother's house, who constantly reminds her that she doesn't visit enough. Arthur is her boyfriend, he's an anthropologist. Amelia likes him, obviously, but mother, not so much. The doll manages to fall off the table resulting in the gold chain slipping off. This is a pivotal part in the story, because this chain offers some protection. Once off, the doll comes to life and is ready to... you guessed it, hunt. What follows is the doll terrorizing Amelia for the rest of the story. She tries her hardest to conquer the damned thing but she just can't get the upper hand. As she kicks, and screams and writhes for page after page, I'm thinking back to the very beginning - before she walks into the apartment. From what Amelia says, she sees the thing in a store, and since Arthur is an anthropologist, she thinks he'll just love the doll. Amelia is ready for the next commitment in her life. She's away from her over-bearing mother, and Arthur seems like the guy she wants to be with for the foreseeable future. Amelia seems like a woman who would do just about anything for some attention. Attention given to her by somebody other than her own mother. Maybe she has friends, but I highly doubt she has many. She's probably a virgin and Arthur is probably her first real serious boyfriend. She must stay balanced with his needs and her mother's. That's probably a real chore. Amelia's heart seems to be in the right place, but her gift, that she so eagerly sought out in hopes of impressing her love, will inevitably be a bad decision. The doll doesn't die. It can't die. Amelia ends up fighting a losing battle the entire story. (Just like the battle with bf and mom. One will get sick of the other, which will prove to be cancerous to both relationships and Amelia will be the one who loses the most in the end.) Once the doll's essence is released, it consumes Amelia's spirit and takes over. And who is the first person Amelia calls to come hang out? I loved this story for many reasons. I loved the vulnerability of Amelia. She's written so naturally. You feel as though you know people like this - starving to be wanted and loved, yet having to release themselves from the umbilical cord. The Zuni fetish doll is interesting too. It hunts right away. It's a gift for a person who studies human behavior. And one thing about us humans that can't be denied throughout history is our hunger for blood lust and violence. We've been killing each other since the dawn of time. in some ways the fetish doll is using the emotional energy bottled up in everybody. the things we can't do anything about in our lives but really hate. with most people it's never allowed out but every once in a while the bottled up energy acts under it's own power. that's how i see the doll. keep your emotional energy on a leash or it will destroy you & your world. after watching the other stories in the movie it made me wonder if Arthur was even real - maybe. pretty good use of Richard Matheson stories but i still prefed I am Legend with Vincent Price. the scene where he takes his daughters body to the plague pits is bone chilling. What is the theme of this short story? I'll never forget Karen Black's face at the end of this segment I'm Trilogy Of Terror! Terrifying!